The Los Padres Dam was built in 1949 with no way for steelhead to migrate over the dam. At one time a wooden ladder and trap was built which was destroyed in a high water year. 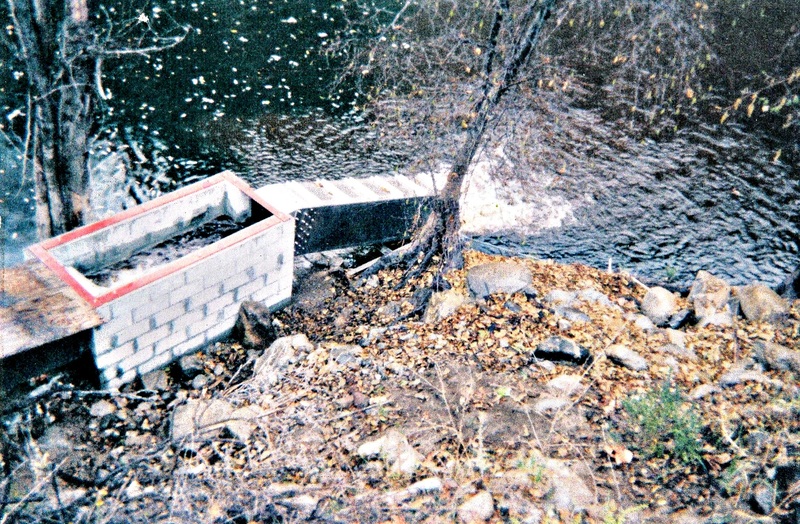 The original wooden ladder and trap was replaced by a second fish ladder and trap and constructed of metal. Both ladders and traps were to help upstream migration, but had many problems. The second ladder and trap was considered by many fisheries biologist to be too far downstream of the spillway to attract the majority of migrating fish. Missing the ladder caused fish to damage themselves by trying unsuccessfully to jump up the 40-foot end of the spillway. The fish had to be individually netted and moved to a truck causing further stress and injury to some fish. A still further problem was that unknown persons were thought to pry open the lid to the holding tank and help themselves to a steelhead dinner. Considering that National Marine Fisheries Service considers 50% of steelhead habitat to be above Los Padres Dam, in 1999 CRSA decided it was time to do something. 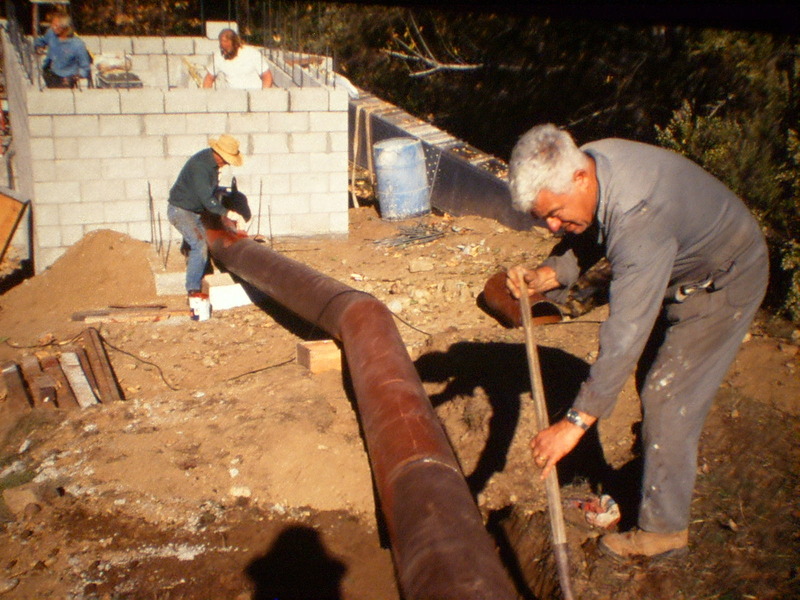 With a grant from the National Fish and Wildlife Foundation and with help from the California Department of Fish and Game and California American Water, CRSA began construction of better fish ladder and trap. While CRSA volunteers contributed over 1,000 hours of labor, many others contributed materials and services at low or no cost including Howard Carter Associates, Monterey Peninsula Engineers, Wermuth Allied Van Lines, M. J. Murphy Lumber, and the County of Monterey which waved building permit fees, to make the ladder a reality. In the end, the total cost of the 70-foot ladder and holding tank building was only $107,750. Without volunteers and contributions the cost would have exceeded $250,000. The new ladder and trap is a much better solution to the ongoing problem of upstream migration. 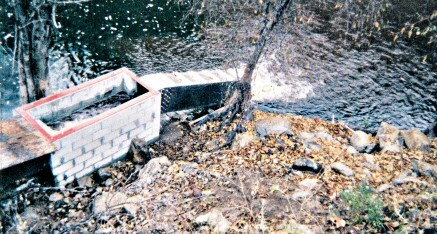 The unique ladder design allows steelhead to swim up the ladder through two resting area pools and into a concrete block holding tank. Once in the holding tank they are encouraged to swim into the Cal Am transfer truck and then driven over the dam and released. All of this is accomplished without being touched by human hands. The next time you hike to Los Padres Dam look downstream when you pass over the bridge at the end of the spillway. On the west side of the river you can see the CRSA ladder and trap which continues to help steelhead migrate to their ancestral spawning grounds.